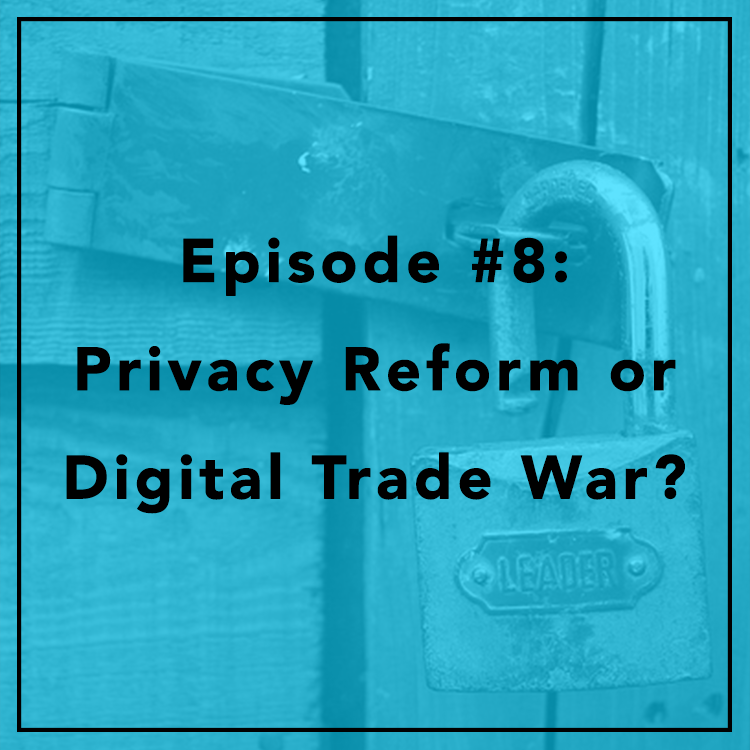 #8: Privacy Reform — or Digital Trade War? Since Snowden’s revelations about US surveillance in 2013, not much has changed — at least, for Europeans. Europeans are rightly outraged. Late last year, Europe’s highest court struck down a key 2000 agreement that allows tech companies to send consumer data across the Atlantic. Evan and Berin discuss how American can avoid a digital trade war with Europe by better protecting the privacy of Europeans — starting with the Judicial Redress Act, which stalled in the Senate yesterday.